The elegant silhouette of this pendant light combines high impact glamour with artisan craftmanship. Sparkling, faceted, different sized crystals individually wrapped in polished brass have been handcrafted to create a freeform design that radiates luxury and drama from every angle. 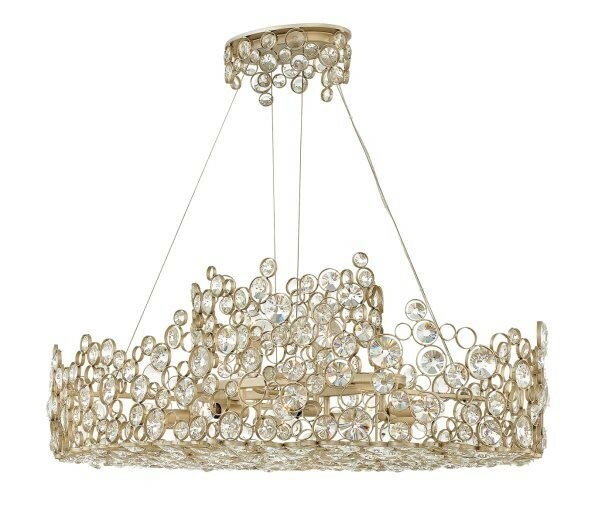 This enchanting new statement piece is part of a collection of pendants (two sizes), wall and ceiling lights. Selling some of the finest lights available The Lighting Store has gained considerable experience and expertise over 70 years and are proud to be able to offer sound advice regarding what type of lighting is most suited for any environment.